I am most grateful to M16 and the judges, Susan Best and ex DeMedici for selecting my work among such a wonderful group of fellow artists. I was awarded the major prize along with Berenice Carrington. 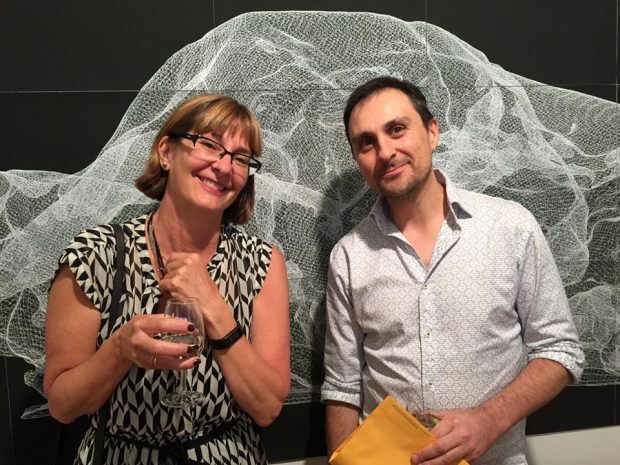 Here I am with one of the judges, Susan Best, in front of my winning work, Karesansui 1.